First traces of a new web browser by Mozilla, makers of Firefox, appeared today on the company’s official support website. Firefox Rocket is a light but feature-packed browser that lets you save data and phone storage, capture and share content, and browse quickly even on slow connections. 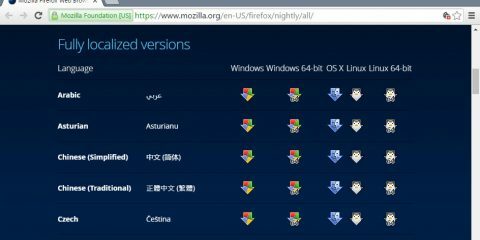 Some of these features are also available in other Firefox versions while others are exclusive to Firefox Rocket for now. Turbo Mode sounds a lot like Opera Turbo on first glance. Firefox Rocket Turbo Mode hides third-party content such as advertisement on web pages visited in the browser. 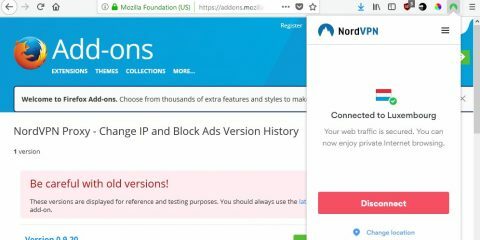 It is unclear at this point in time whether Turbo Mode is a content blocker that is built-in to Firefox Rocket, or if it is a solution like Opera Turbo which uses a proxy to block and compress content before it is transferred to the user’s device. Another feature that is not part of other versions of Firefox by default is the option to block images from being loaded. Firefox Rocket is not the first browser to offer that feature though; Vivaldi and Opera support a similar feature for instance natively. The third feature of Firefox Rocket that Mozilla highlights is the option to clear the browser cache without clearing the browsing history, form history or login sessions. Finally, Screenshots is also available in Firefox Rocket. Mozilla launched Screenshots recently for Firefox on the desktop. 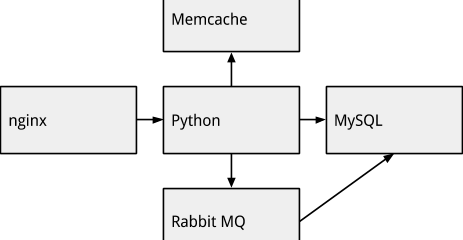 Mozilla makes no mention of the systems that Firefox Rocket is available for. It is likely that Firefox Rocket is available for Android, and not for the desktop. We don’t know as well whether it is based on Firefox code, or something else. If you are from Indonesia let us know if you had a chance to play with Firefox Rocket already. It is quite unclear to me right now why Mozilla launched Firefox Rocket, a new web browser, and not implemented the functionality in Firefox Mobile or Firefox Focus instead. I will update the article when new information comes to light. Now You: What’s your take on this new browser? 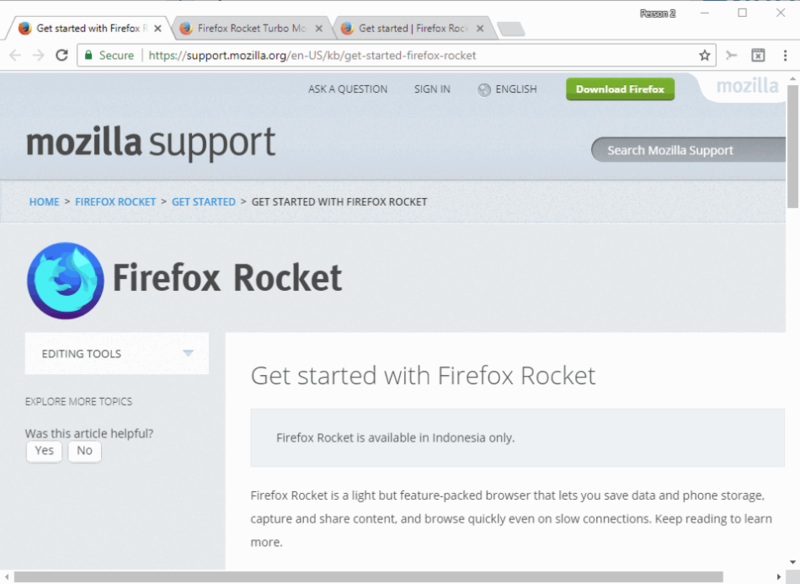 The post Mozilla launches Firefox Rocket browser in Indonesia appeared first on gHacks Technology News.